New Cannon County Sheriff Darrell Young. Wednesday, Sept. 1, marked the beginning of the four-year terms for Cannon County officials who were elected during the Aug. 5 General Election. 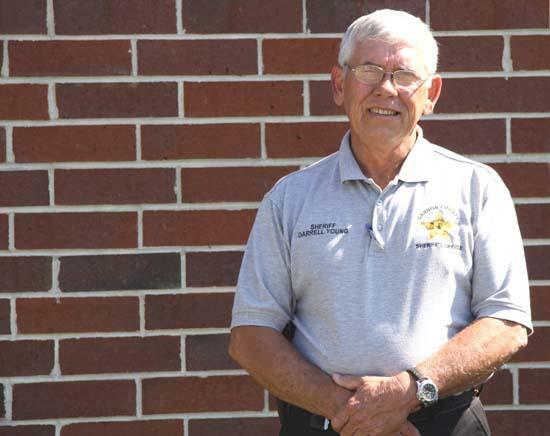 One of those voted into office was Darrell Young, who took charge of the Cannon County Sheriff's Department at midnight. Sheriff Young said this morning it had already been a busy day as he and his staff transition into their new jobs. Young said he had been awake since 6 a.m. Tuesday. The new sheriff said that for the most part the changing of the guard at the department has gone smoothly. However, he did report that he has not been able to locate some computer and case files, and that he believes the jail is understaffed.